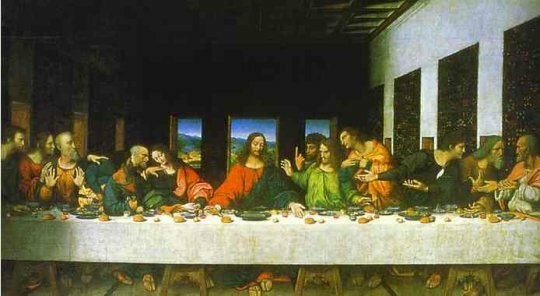 Da Vinci’s famous painting “The Last Supper” has managed to survive to this day, though it has faced its share of threats for centuries. (Surviving a bombing during World War II for example) Today it faces a silent, but deadly modern enemy. Air Pollution from one of Europe’s most polluted cities, Milan. The painting is housed in the refectory of Santa Maria Delle Grazie Church, where they hope to preserve it for future generations. Obviously the key to protecting the painting is to figure out how to keep the nasty environment outside from coming inside to hurt the painting. The first step was installing a new high tech heating, ventilation, and air conditioning system to filter all of the bad stuff out. The next was designing air samplers that would not upset the gallery/museum atmosphere. The third step involved a multi-national team to test the air. Two sets of air quality monitors were used for one year and the results were very encouraging that “The Last Supper” need not be on its last leg. Fine and coarse particulate matter concentrations were reduced by 88 and 94 percent, compared to their corresponding outdoor levels. These readings were taken around the painting itself. Only a few visitors at a time can see the painting, which is inside of a special airlock-type chamber and they are limited to 15 minutes at a time. It’s thanks to efforts like this that future visitors will be able to see this masterpiece. Be the first to comment on "Da Vinci’s Last Supper Threatened By Air Pollution"